Dr. David Leifer, Architect and Senior Lecturer at Sydney University continues to question the veracity of the “official explanation” of the WTC collapses on September 11th 2009. In this lecture on Thursday the 4th of June, Dr. Leifer will uncover what is most probable, not what is politically correct about the collapse of WTC 1 that was impacted by Flight 11 on 9/11. It is worth remembering that three Sydney residents died in WTC 1; Alberto Dominguez on Flight 11 and both Craig Neil Gibson and Steve Tompsett working in the building. There is no doubt this issue is relevant to us in Sydney and we hope more academics in Sydney and Australia join Dr. Leifer in serious research of these murders. 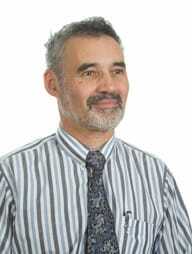 Dr. Leifer has been at the forefront of research into the 9/11 Attacks in Australia, being the first registered architect in Australia to become a member of the international group “Architects and Engineers for 9/11 Truth” – www.AE911Truth.org, lead by Richard Gage (AIA). This will be the second lecture on this subject matter he has given at Sydney University. This lecture is open to the public, but it is expected you have a serious interest in the science involved and dress to represent us in the best light! Please challenge the skeptics that you know to attend. lecture. I will make the details known once the time and date is confirmed.